A week ago, I ordered a product online using one of the popular “Big Box” retailer’s web-to-store functionality. The web site indicated there were only five of these products left in inventory—so rather than rushing to a store that carried it, I figured I’d click “buy” and pick it up at my earliest convenience. It seems like a great service, right? Except, when I went to pick up the product, I was informed the order had been cancelled because it was out of stock and back-ordered. My guess: This retailer has not yet optimized its digital experience management (DXM). A digital experience management platform helps companies align their channels, manage their content, and keep their digital ducksin a row. As customers demand smoother, easier, faster omnichannel experiences, the question becomes: how can companies meet those demands? Heading into 2019, the number of channels—the amount of content—the types of technology available—it all continues to grow. And the smartest companies are moving toward a DXM to help keep their digital experience aligned and in check. In short, DXM helps you help customers “shop” rather than simply “buy.” It makes the entire shopping experience more memorable for them—and helps you know what’s working (or not) at the same time. This was a hot trend at this year’s National Retail Federation show, which took place in NYC earlier this month. 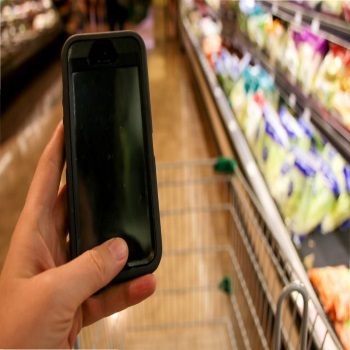 It’s the bringing together of the physical and the digital with the help of analytics, machine learning, AI, IoT and a plethora of other technologies leading to the next generation of omnichannel shopping experiences.